Thanks for visiting these pages. 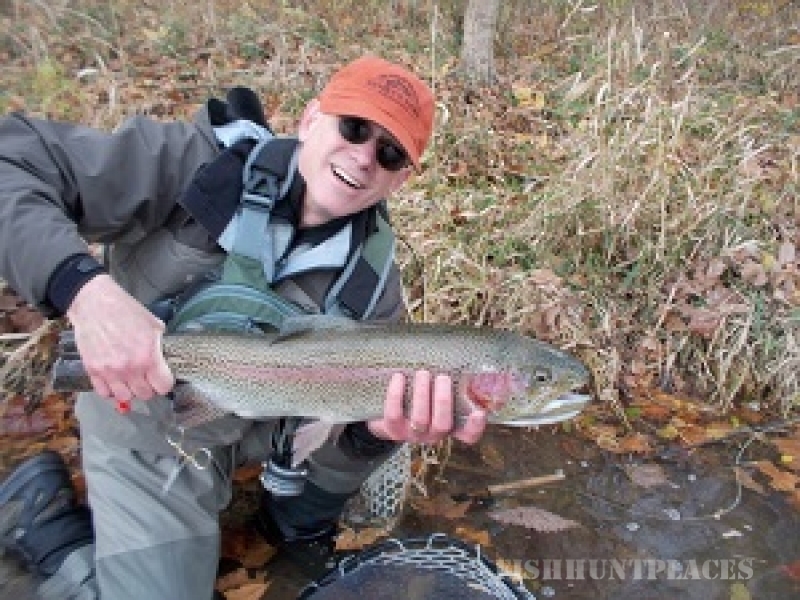 Fly fishing for trout has been a favorite of mine for quite a long time. I had the good fortune of growing up having a father who allowed me to spend lots of time on the local trout streams. He had worked in the woods all of his life and I was always spellbound when he would talk about native brook trout, to this day when I catch one I cup it in my hand thinking how lucky I am to touch something so beautiful. My father passed a lot of knowledge down to me which I enjoy sharing with others including the extra special little places you sometimes find trout. A trout education is an ongoing pursuit, the smaller 3-10’ wide brook trout streams in the Blue Ridge and Alleghany mountains provided excellent early training grounds for me to learn the wonderful sport of fly fishing. I have learned to appreciate the 5’’ Native Brookie just as much as the 7-pound Rainbow, I sometimes go out to a native brookie stream without a flyrod just to watch the little guys feeding on top of the water, it's down right magical watching these most efficient magnificently colored creatures. I wore out more than a few waders bushwhacking along our higher altitude rhododendron and mountain laurel lined headwater streams and loved every second of it. I still get excited the night before a trip. I always tell my fishermen that if you can catch fish in the small streams the rest will come easy as far as the larger streams are concerned. Most trout live in high rent neighborhoods, I never have gotten tired of visiting them long and short of it. . The scenery along most of these streams is of blue ribbon quality. Wildlife sightings are always fun and educational whether en route to or along the stream. 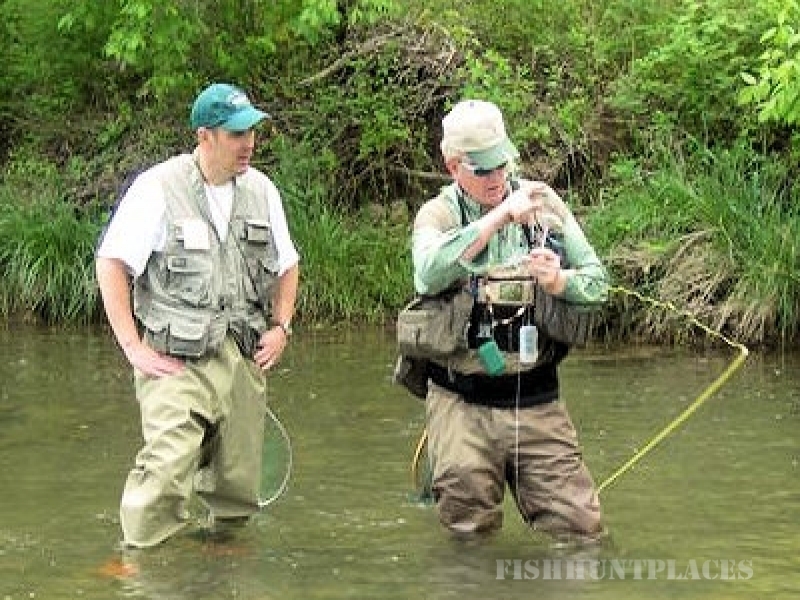 Hopefully at the end of our fishing day you will have acquired a few new skills, learned to appreciate Trout and their environment and sensed the same enjoyment as I have for over 60 years. One of the most gratifying elements of this job is being able to show a person, whether younger or older, something in a day that just might stay with them for life. If I have done my job right you will not want to leave the stream. I have never caught a trout that didn’t put a smile on my face, kind of noticed the same reaction from my fishermen. Please e-mail me with any fishing questions. I will respond promptly.